I don’t know about you, but already my Facebook feed is being filled with pictures of kids looking fantastic for their first days back to school; all polished and pucker – ready to take on the world! I know some of your kids will go back this week, some next week, and some have already gone back to school. 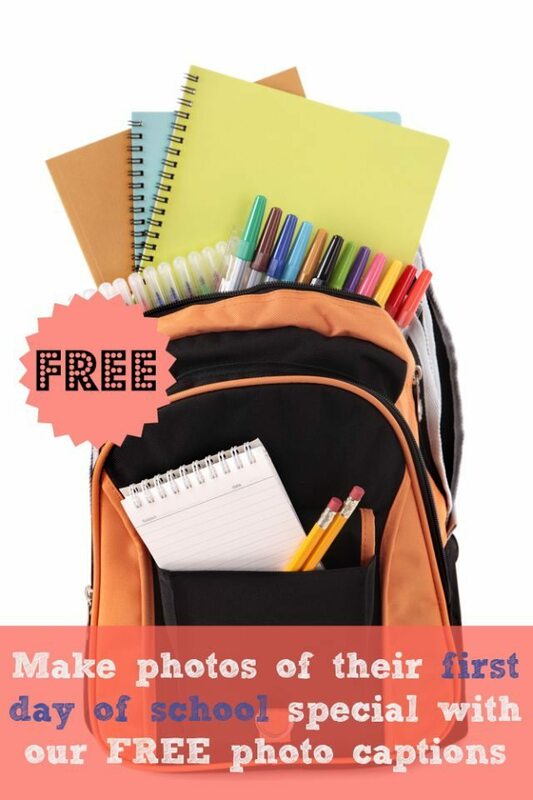 Seeing all the photos gave me a little idea – why not help your memories, and even create a lovely sequence of pictures by adding a little printable to each of the photos that your child can hold up on their first day. 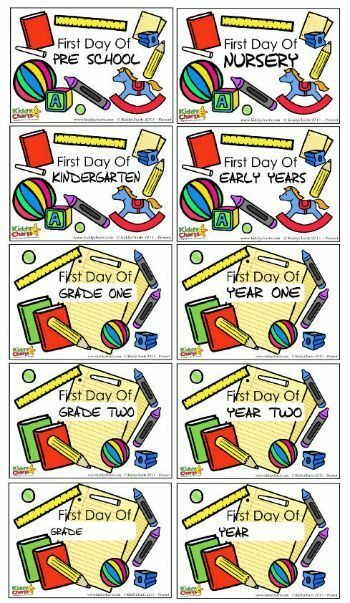 The printable would give the first day and the year for that child…so as I thought this, I decided to do it for you all! First day of grade ____. I have placed them in a single file, but you can, of course, use them as you will. All you need now are the willing back to school participants for the photos. I hoped to find a couple of hangers on for our pictures – but they refused to have their picture taken…typical, just when you need the kids to do something….. I am hoping you have had much better success with your pictures, we would love to see them shared on our Facebook if you feel like it! As always, we have a little video of the printables so you can see them in action too – they are rather self-explanatory, so its a short one for you this week. Have a great week, and see you for another free printable resource next week. Do subscribe to the KiddyCharts YouTube channel and the blog, so you don’t miss out won’t you? Thank you for joining in with this years back to school linky. I have pinned your post.